Joy Victory is Deputy Managing Editor of HealthNewsReview.org. She may or may not occasionally hide her dark chocolate stash from her family. Want a simple way to know if you should be skeptical about a health claim? How does dark chocolate “support” your health? 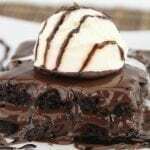 According to USA Today, it can do so because an unpublished pilot study involving just five people–yes, five–showed eating lots of it over a few days “influenced gene activity, increased anti-inflammatory agents and increased infection-fighting cells.” A second pilot study also showed it can “positively impact brain function” on five people, the paper reported. It’s unclear, of course, if it actually made anyone healthier, despite the “support” it may have provided. Simply having more white blood cells isn’t necessarily a good thing, nor is having fewer anti-inflammatory agents. And I’m not sure what “influencing” gene activity involves, unless it’s to convince me to eat chocolate, because I’m pretty sure I want to blame my genes for that. 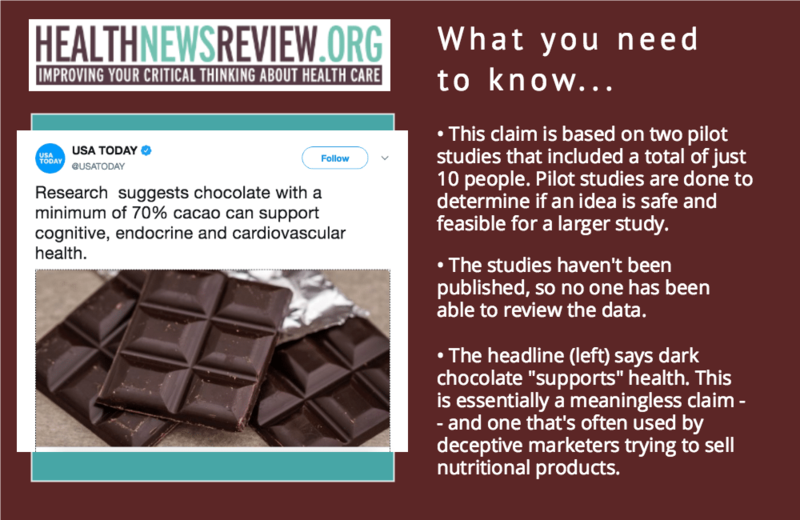 Dark chocolate may have health benefits, but don’t proceed wantonly with diet changes based on this skimpy news story that’s based on a preliminary study. 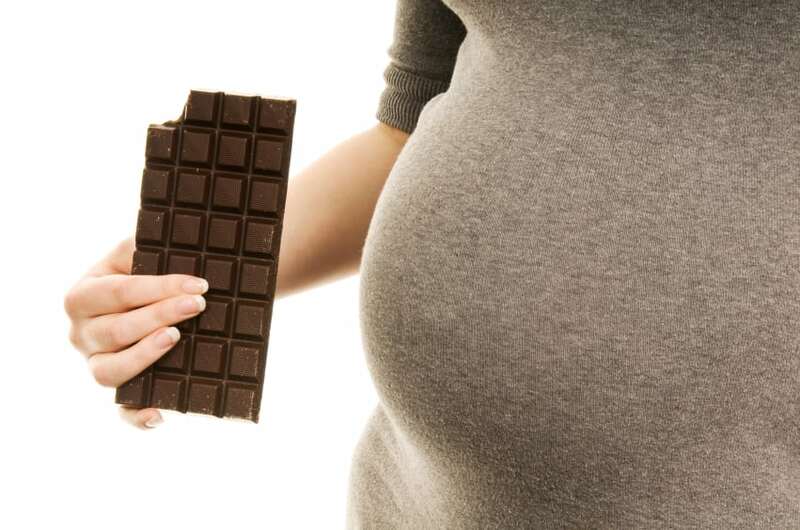 After all, eating loads of chocolate also “supports” weight gain.